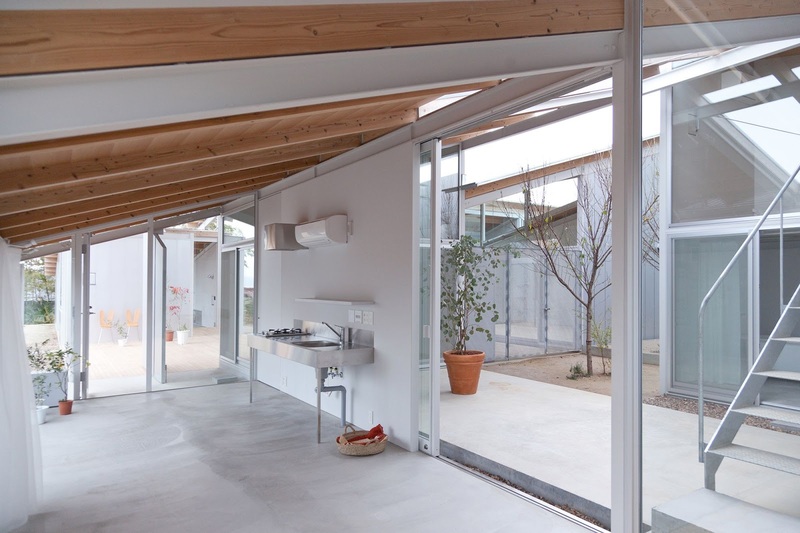 The Nishinoyama House is a ten-unit housing complex located in a quiet residential area in Omiya Nishinoyama, Kyoto.The complex is built on a gently sloping site directly adjacent to a large vegetable garden that lends it a free and expansive atmosphere. In the summer, the location also offers a distant view of the giant Daimonji bonfire on Nyoigatake to the east. 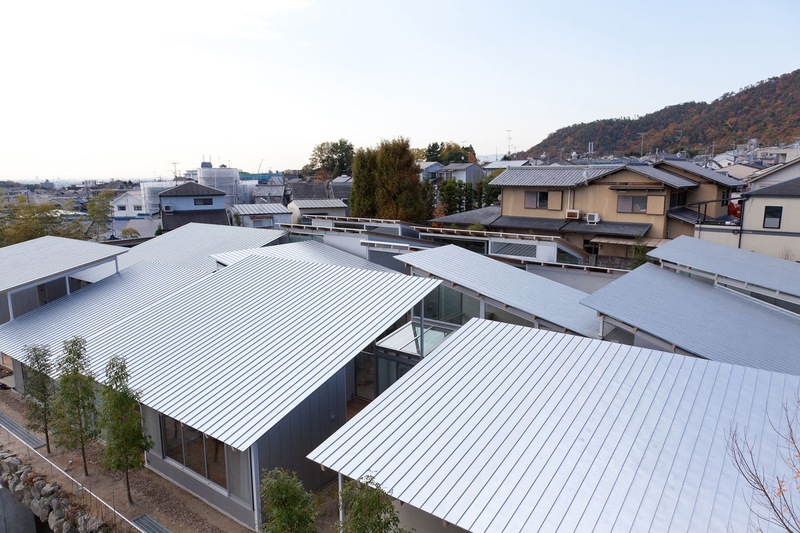 Characterizing the exterior of the building are twenty-one pitched roofs—each roughly the size of the neighboring single-family houses—that come together to form one large roof, looking not unlike a cluster of small traditional machiya houses.Each room is positioned out of alignment with these pitched roofs, creating almost as many small gardens and alleyways underneath the shared roof as there are rooms in the complex. 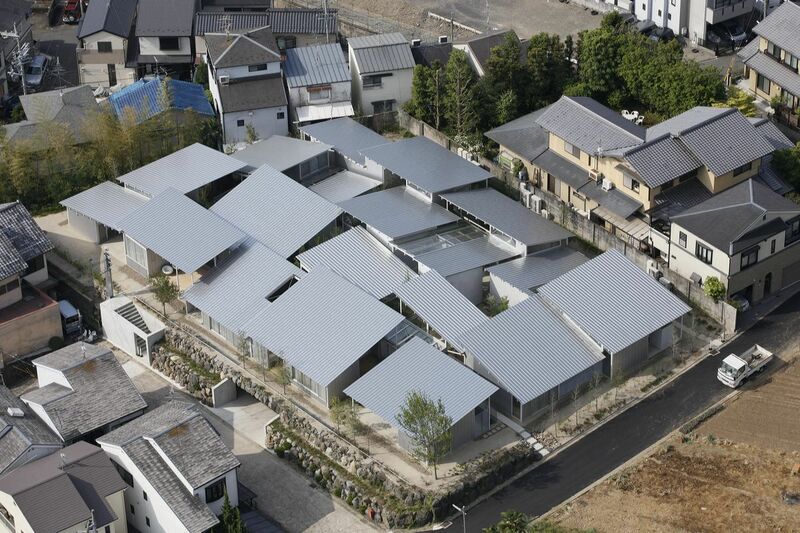 Housing units are scattered along the sloped site, covered by two to three pitched roofs per unit. 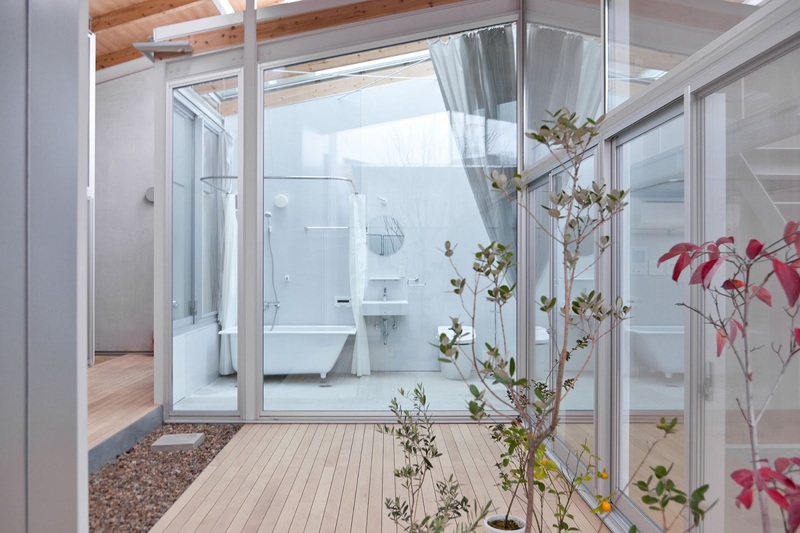 Some units consist of a series of interconnected rooms that surround a garden, and others have detached rooms located across a garden. 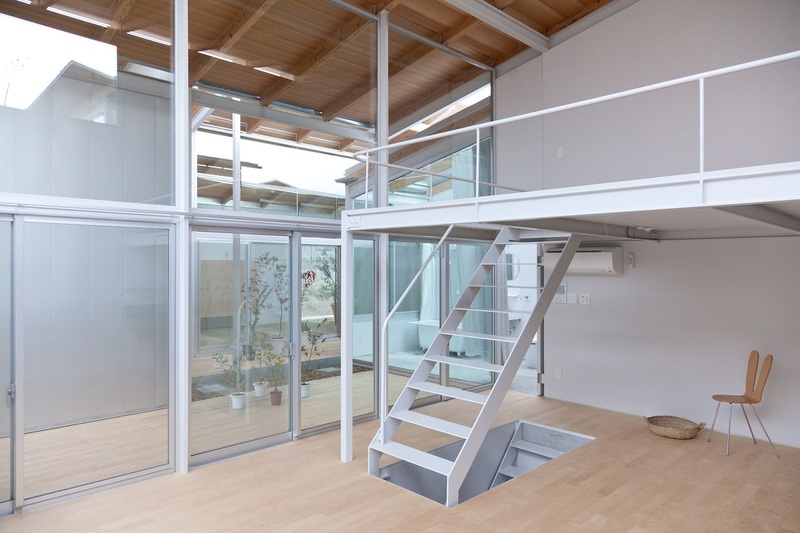 Each room also differs according to the direction and height of its roof, ranging from attic-like rooms with low ceilings and a down-to-earth atmosphere to rooms with lofts and high ceilings, filled with sunlight. 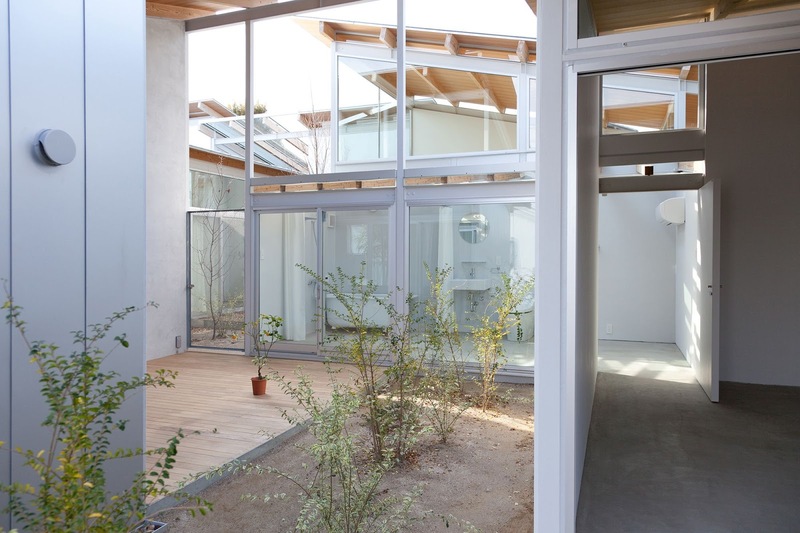 All rooms have multiple sources for both light and air. The many gardens on the grounds take on a multitude of different patterns—such as gardens along the street that are open to public use, covered gardens surrounded by a single housing unit that can be described as being semi-outdoors, and bright gardens with the open sky overhead that are accessed through narrow paths, from which private covered gardens can be glimpsed—creating a variety of places and landscapes throughout the entire complex. 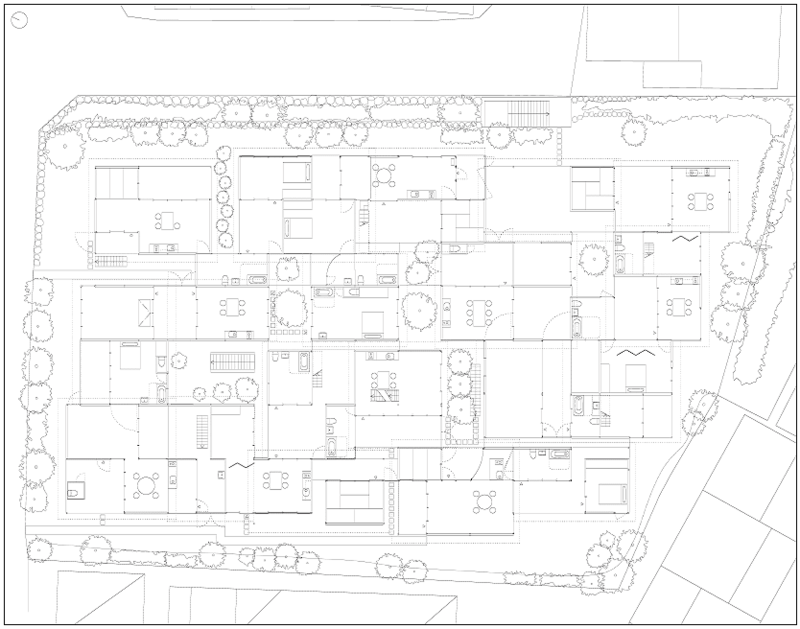 By placing such rooms and gardens under the same roof, the residents will be able to enjoy a lifestyle that is based not only on indoor space but outdoors as well. 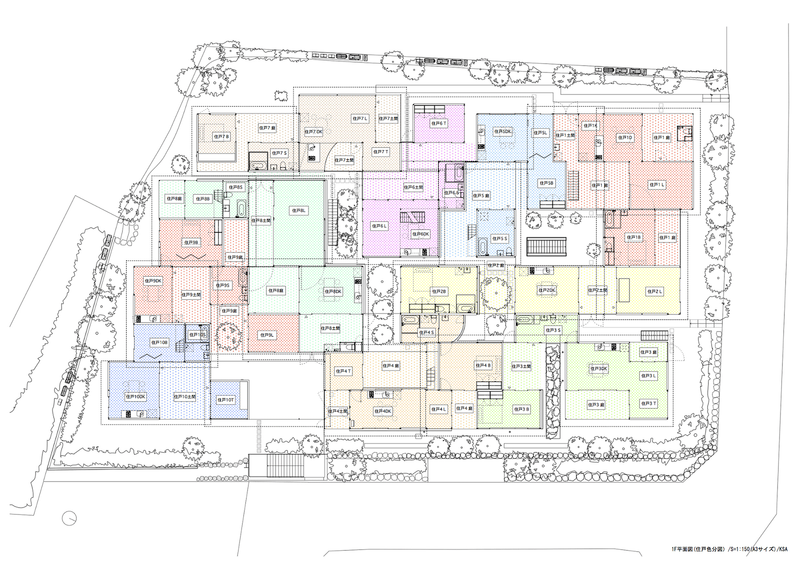 This will hopefully create an environment that allows for the development of natural and positive relationships between residents alongside the privacy that the separate units and gardens offer. Ideally, this atmosphere will extend beyond the grounds of this complex and connect with its surroundings and beyond.